Exquisitely hand crafted wooden barrel shaped piggy bank money storage box with keys. Exquisitely hand crafted wooden barrel shaped piggy bank money storage box with 2 brass accents. 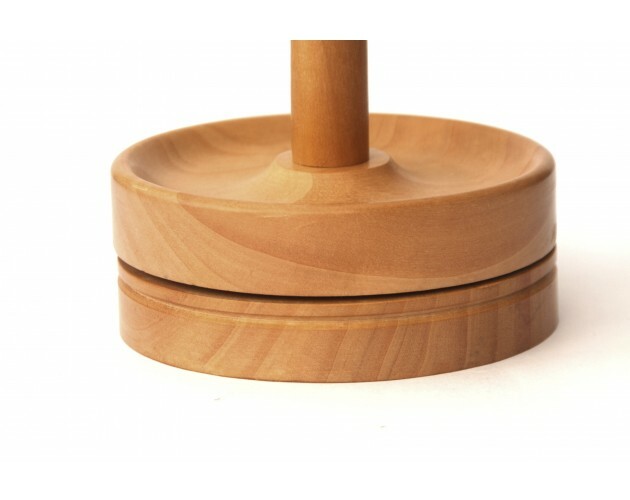 Made from sturdy and eco friendly Indian Mango wood, the barrel shaped coin box is eye catching collectible and make brilliant gifts for children or fun-loving adults, teenagers or all age groups. Two brass rings are used along the top and bottom to give the barrel a distinctive look, and the coin slot at the top is also trimmed in brass. When it comes time to count your savings, the coins can be easily emptied without having to damage or break the bank. Just open the bottom lid with the supplied keys. If you're looking for a unique piggy bank to give as a kids gift or to your loved ones, this hand crafted Wooden barrel shaped Money Bank is the perfect choice. With its imaginative shape and durable construction, it's a true quality gift that can be treasured for years while safely storing a child's treasures. The box is 6 Inches in height, and is 5 inches width at the widest part. Supplied with a set of 2 keys.